As a kid, TMNT action figures were the cream of the crop. My youth was consumed by those small pieces of plastic. As my collection grew, so did the creativity. My imagination soared as I crafted stories and scenarios for the Turtle toys. Tales full of action and adventure stormed through my room. Although these toys categorized as "action figures," their "action" eventually hits a limit. Despite how many points of articulation a figure might have, the toys simply cannot match a child's enthusiasm. Kids are bursting at the seams with energy. They love to run, scream, laugh, and interact with one another. Sadly, action figures don't bring that to the table. That's when you're forced to take on the task yourself. Forget the Turtle toys, you've got to BE the Turtles. My gang of Turtle-loving friends did this quite often. When the weather was beautiful, we'd head outside and our playtime mutated into Turtle time. Our real names and identities faded away as the personas of our favorite Turtles took over. The landscape around us morphed into a different world. A cluster of trees became the Sewer Lair. The empty air suddenly transformed into a wave of Foot Soldiers. And although we could never get there, we KNEW the Technodrome was burrowed beneath the lawn. We loved this - being Turtles. Eventually, the activity earned the name "Us Turtles." 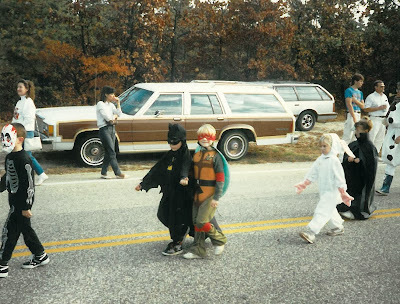 When Halloween rolled around, it was the ultimate opportunity to play "Us Turtles." No longer were our shells imaginary or our eyes peering through pretend bandannas. No, we were real Ninjas now. Our bodies became green and Turtle Power took over. And on top of that? WE GOT CANDY. With the spine-chilling season at our doorstep, it's the perfect time to showcase my Halloween highlights of "Us Turtles." Brace yourself, this could get scary. 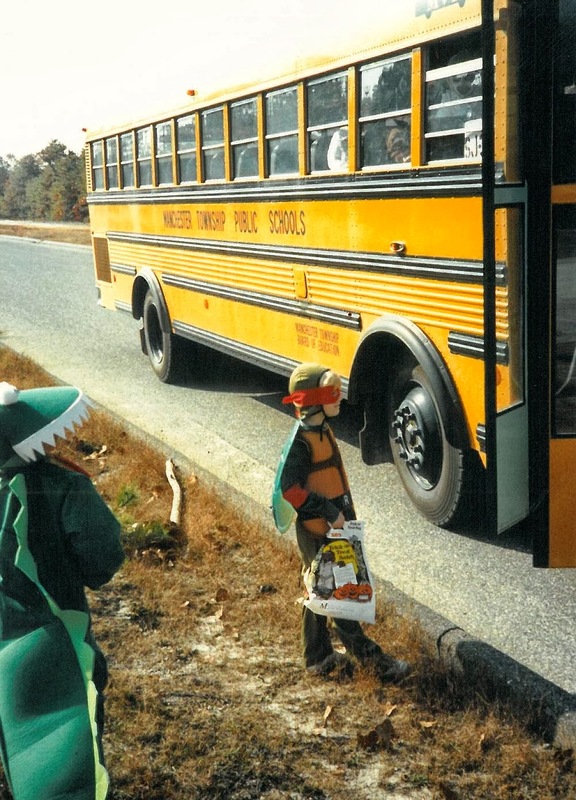 My first TMNT Halloween costume debuted when I was in kindergarten, just after my 6th birthday. It was my first year of public school - where I was getting my feet wet in social situations and building new friendships. 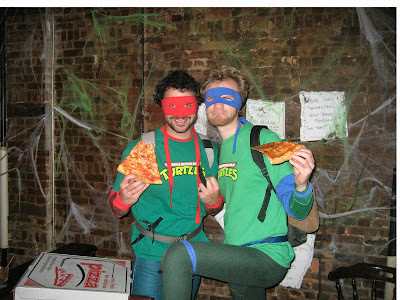 I wanted a costume that screamed "cowabunga." My new friends needed to know that I loved the Turtles. 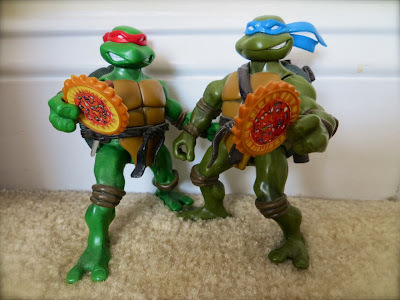 When playing "Us Turtles," Raphael was always my first choice. So when Halloween came around, there was no question about it - I had to dress up as the red bandanna-wearing Ninja. My parents shelled out the cash and bought me the official TMNT costume. We couldn't find anything that resembled Raphael's sai weapons, so I was forced to carry a long sword. People fondly remember their first kiss. Their first car. Their first love. 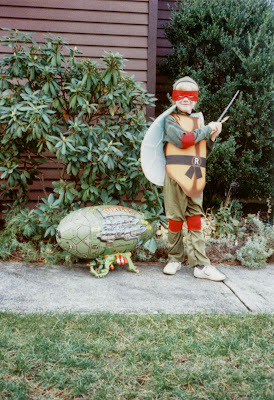 Well, I remember my first time dressed as a Turtle. The big day hit in October of 1989. That morning, I slid into my shell, slipped the bandanna over my eyes, and got on the school bus. 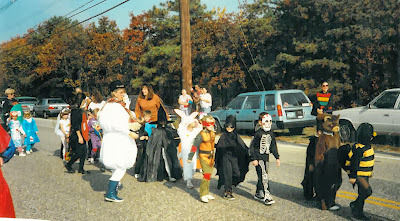 My kindergarten class then marched in a small parade around the school - showing off their costumes to a sea of smiling parents. The joyous day didn't stop there. The sun nestled behind the Earth and darkness slowly filled the sky. An excitement buzzed in the air of my neighborhood. Laughter echoed throughout the streets. 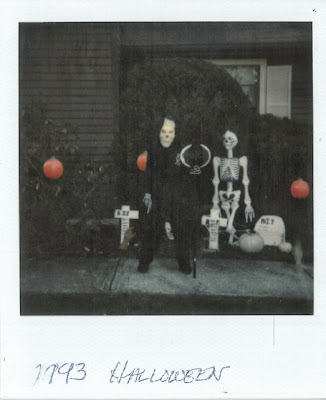 Halloween had taken over. Trick Or Treat - it was time to hit the town. Hours later, I hobbled home with a pail brimming with candy. I emptied it on the floor, organizing and analyzing my sugary earnings. How could anyone dislike this day? Halloween - a day where you were not only allowed, but encouraged, to play "Us Turtles" and were then rewarded with a mountain of candy?! 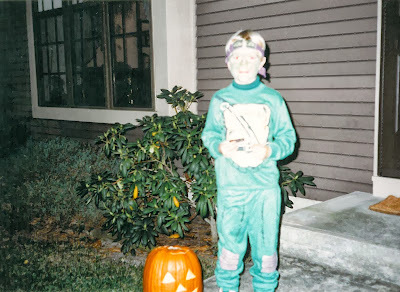 My first TMNT Halloween only scratched the surface. Sure, I took the plunge and mutated into a Turtle. But, there were a few elements missing. Who was I kidding? The average person still knew I was a human disguised as a Turtle. I had to up the ante - raise the stakes. I needed to become a better Turtle. But, how could 7 year old me conquer this? By going green. Forget the plastic face masks the store was selling, I went all in. Like butter to bread, I caked this green stuff all over. Other kids played it safe at school. 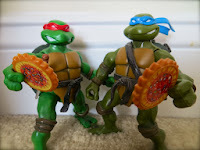 They suited up with the simple bandanna or a plastic mask that only made them look like a Turtle. I was a Turtle. Back in 1991, I wouldn't be surprised if that green paint was toxic. I remember it took some serious scrubbing to get my face clean. My Mom worked a washcloth over my mug for hours after we returned home from Trick Or Treating. She practically rubbed me to the bone before that green goop disappeared. But for me, it was worth it. More "Us Turtles," more candy. 1992 marked the 3rd consecutive year that I wore a TMNT-themed costume for Halloween. 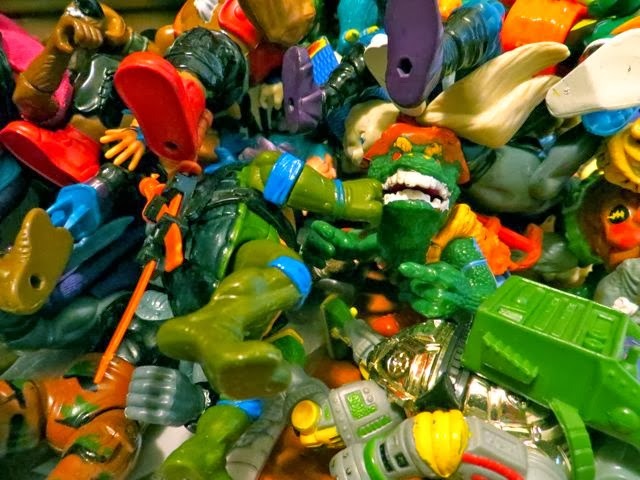 Although I had Raphael and Donatello under my belt, I didn't want to simply cycle through the remaining Turtles. It was time to think outside the (pizza) box. 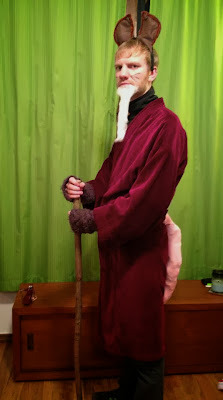 My costume needed a fresh and unique angle. I put my 8 year old mind to the test. What would the Turtles wear if they went to school and were amongst humans? Well, to mask their identities, they'd go undercover - and so did I. Paying homage to one of my favorite action figures, I whipped up an Undercover Don costume. Saving a few bucks, we re-used my Donatello attire from the previous year, but jazzed it up with a few added pieces. With the trench coat and fedora, Undercover Don was ready to hit the streets on Halloween. I loved this costume. My parents loved this costume. Turtle fans then and Turtle fans now still love this costume. But, the general public? Well, they were confused. 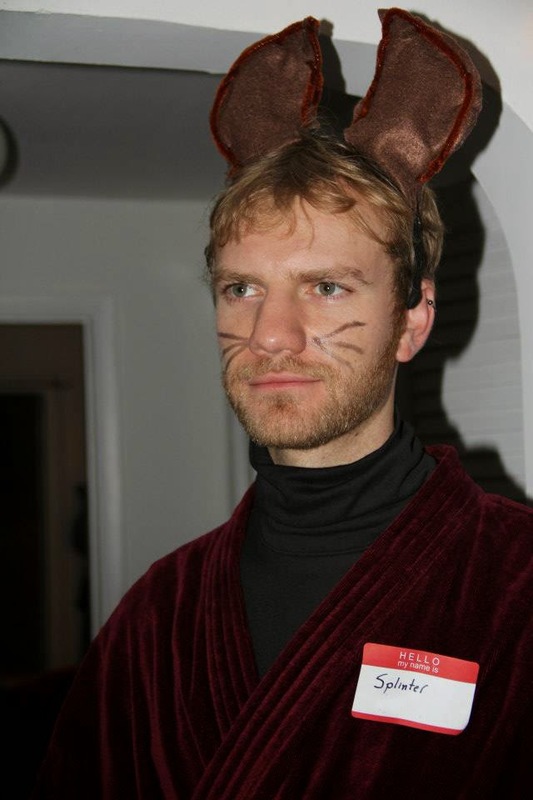 As I went from door to door on Halloween, befuddled adults would offer their interpretation of my costume. The worst guess was "Indiana Jones Frog" - which still makes me raise an eyebrow. It was an endless night of poor guesses and jokes that went over my head. After 3 years of Turtle-costumes, I hung up my shell. I could barely remember what Halloween was like without being green. It was time for a change. Octobers flew by on the calendar. Each year, I dove into different worlds with my costumes - testing the waters of non-TMNT characters. Batman swooped in one year, The Riddler made an appearance another, and a non-teenage, non-mutant ninja also crept in. I was growing older too. An evolution was taking place from year to year. Eventually, my childhood costumes got phased out for something scarier. Spooky ensembles equipped with creepy weapons clearly killed off my juvenile getups. Was I trying to be cool? Just growing up? It went from bad to worse. I hit rock bottom. 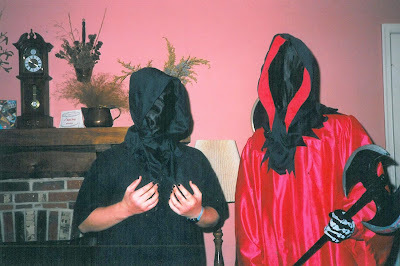 In 2002, I sat idly by as Halloween came, and Halloween went. 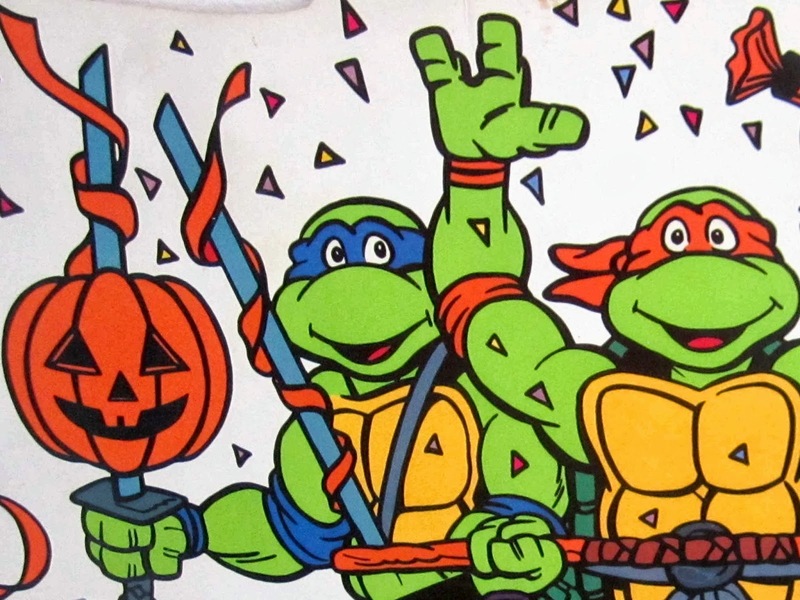 No costume, no Trick Or Treating, and definitely no "Us Turtles." Fortunately, the Halloween-hiatus didn't last long. The very next year I found myself in unfamiliar territory - college. The change in scenery and a batch of new friends infused my Halloween holiday with silliness once agin. Like the bolts of electricity that shocked Frankenstein's monster, my creativity jolted me alive once again. I designed a slew of crafty costumes while tapping into the characters that entertained me throughout childhood. I was in college to transition into an adult, but the evolutionary path of my costumes was reverting me back to a kid. With a college degree and a full-time job in my arsenal, I had nothing else to prove. The stars had aligned and the moment was right. It was time to come out of my shell - Turtle retirement was over. Since my last TMNT costume, the franchise had relaunched with a new series and movie. My options were endless. Ultimately, I went classic. Simple, elegant, and DYI-style for my Turtle return. 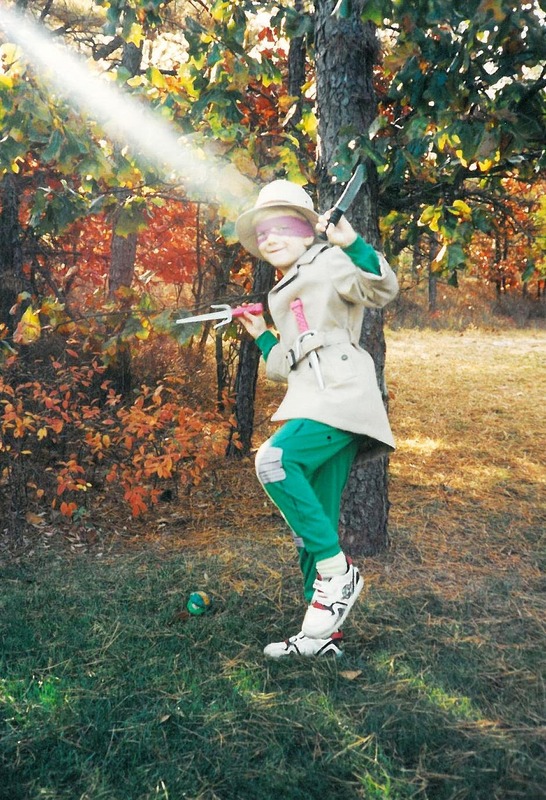 The Leonardo costume had never been tackled during my TMNT heyday. It seemed fitting to mask myself as the Turtles' leader as I ushered in this new era of Halloween costumes. My buddy, Marty, joined in on the action as Raphael. With camaraderie by my side, the addition of pizza made its way into the mix. Not only did heads turn as 6 foot Turtles entered the room, but jealously struck as 8 slices of pie were just for the green guys. No sharing, dudes. Being back in the Turtle costume groove felt good. Like riding a bike, you never forget. The return lived up to my expectations and put the bug to relive "Us Turtles" back in my blood. But, the 90's were over. The new millennium encouraged people to break barriers and push the envelop. Modern times brought a challenge to my doorstep. Marty and I joined forces once again - pulling no punches and striving for maximum silliness. For me, a set of yellow long johns, white slippers, and a can of fluorescent hairspray is all it took to become April O'Neil. The outfit was a success. 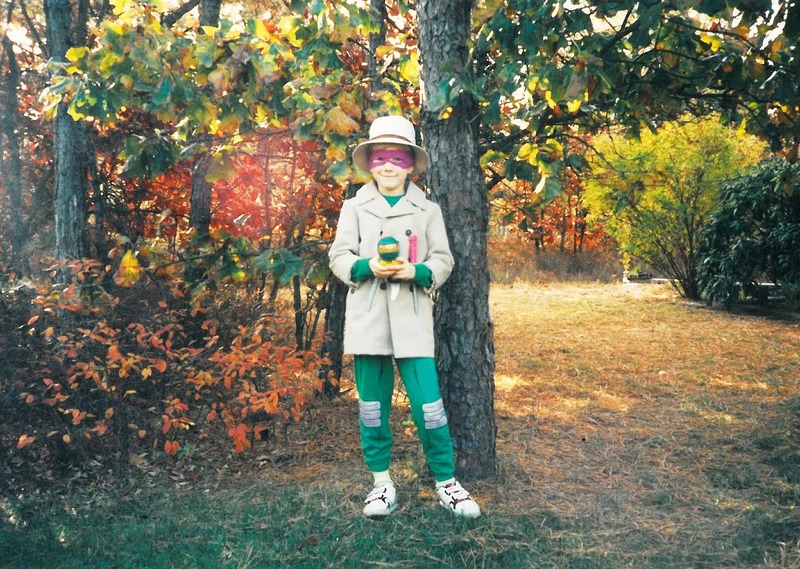 Unlike Undercover Don from 1992, everyone knew what this costume was. 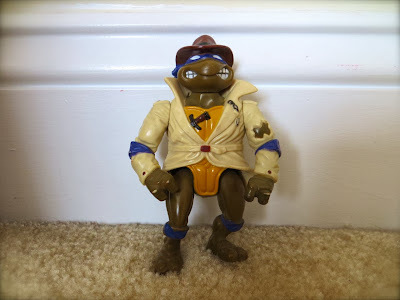 No questions, no confusion, no "Indiana Jones Frog." 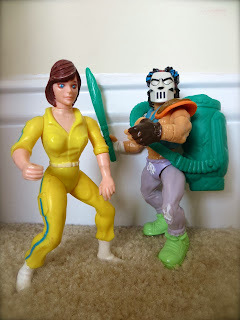 Paying homage to your favorite female TMNT character is not weird. If anything, this costume was a conversation magnet. 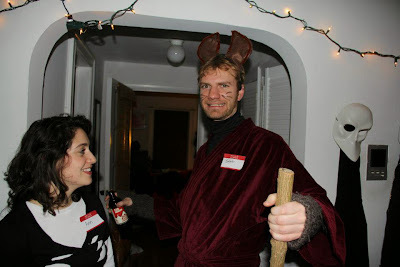 At the party I attended, people reveled in the ensemble and even requested photos with the ravishing reporter. Not to mention, I managed to get a girl's phone number! How's that for a news story? Last year marked a monumental occasion. 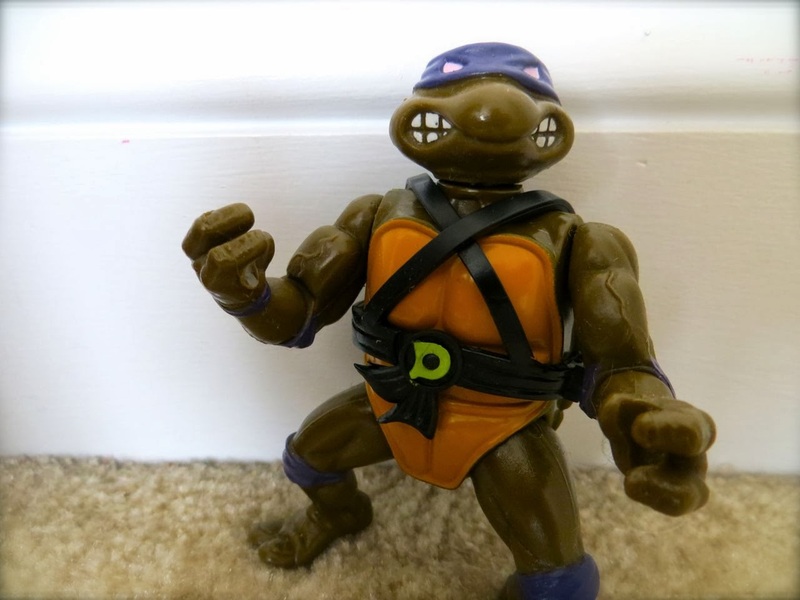 Nickelodeon released their version of the Teenage Mutant Ninja Turtles. By the time Halloween hit, the show had only been on the air for about a month. But, the series was a runaway hit from the start. In such a short time, the show built momentum and had fans foaming at the mouth in anticipation of the next episodes. A whole new generation of kids were able to play their own version of "Us Turtles." I have loved TMNT for over 20 years. At this point, I'm no longer a ninja in training. I have rose through the ranks of TMNT fandom. Now, I am a master. Could I translate this title to a Halloween costume? Channeling the rat was an obvious choice. Master Splinter guides the Turtles through their teenage years with his teachings. He leads them down a righteous path of honor. 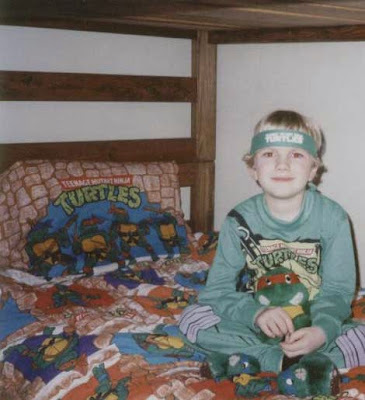 Like him, I felt like I was leading the way for this new generation of TMNT fans. As I walked down the NYC streets, kids tugged at their mothers' arms and shouted in excitement, "Splinter!!!" 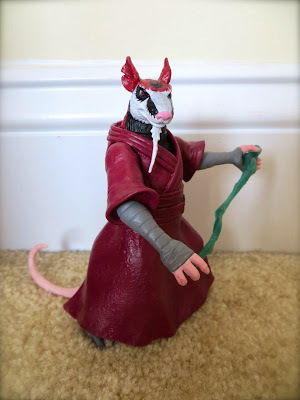 Not only did they love spotting a 6 foot ninja rat, but I loved being a 6 foot ninja rat. "Us Turtles" strikes again! At this point in my life, I've sported a TMNT costume for Halloween on 6 occasions. 3 times as a kid, and 3 times as an adult - split right down the middle. If I find myself in a TMNT getup ever again, then that will result in more TMNT costumes as an adult than as a child. Pathetic? Awesome? Well, for me, it's really not dressing up at all. It's "Us Turtles" - it's a state of mind, a way of life. I am always a Turtle. But on Halloween, it's just easier for you to see it too. This is amazing. 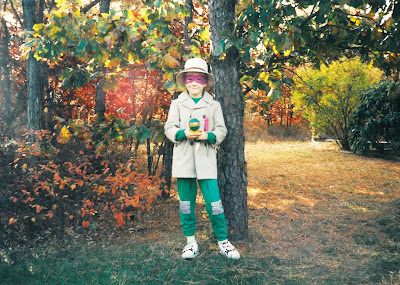 I wish I had as much photographic evidence as you of my TMNT-fueled childhood. Also, that Undercover Don costume was brilliant! What are you doing this year? Thanks Tommy! I'm racking my brain for a costume this year. 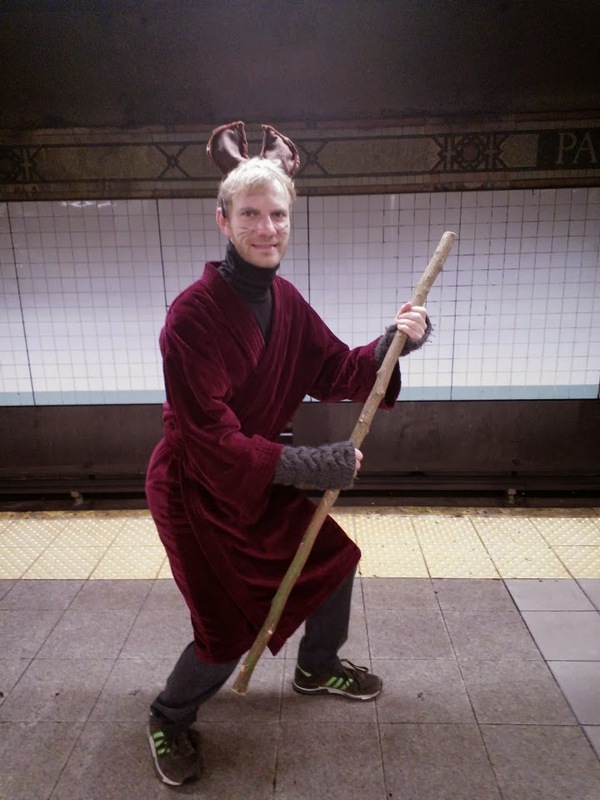 With this post, I feel like I've raised the bar. Any ideas? 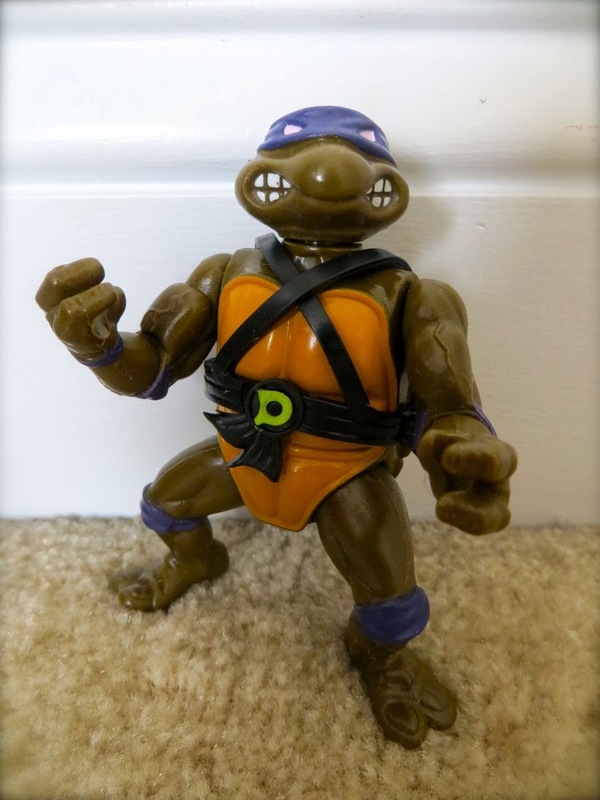 Hmm, I always thought something obscure from the TMNT universe would be cool, like human Bebop or Rocksteady, Vernon, or the Rat King. Human Bebop is such a cool idea! Hmm...I've got to put my thinking cap on. Great post! Agree with Tommy I wish I had as many photos from Halloweens past. 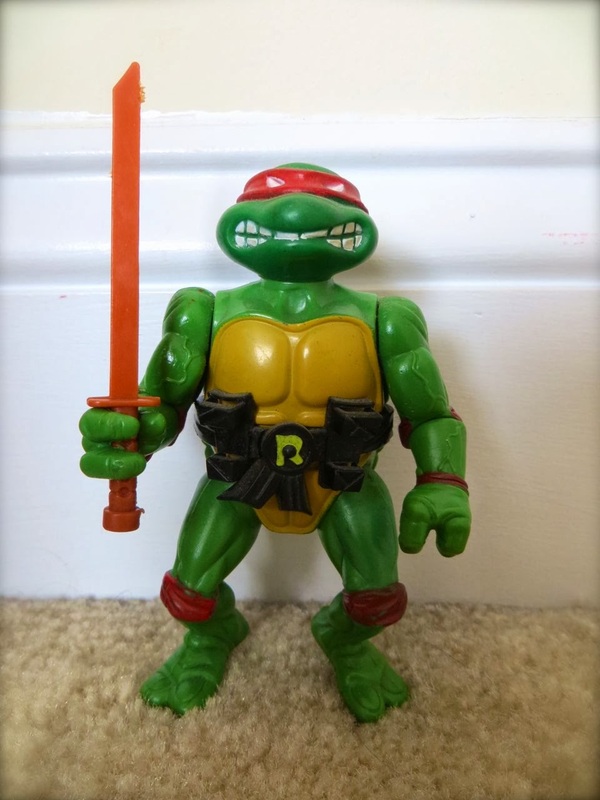 Gotta say the first Raph costume with single sword wins it for me. Oh man. Reminds me of my childhood. I still remember the most excited I've ever been for a Christmas gift was when my brother and I got the Technodrome! I screamed and kissed the box. That is an awesome write-up! I think Undercover Don might be my favourite-- that's an amazing attention to detail at such a young age. Although, I have to give you mad props for April O'Neil and especially Splinter. I agree choose something obscure for sure! how about an utrom/krang robot, usagi yojimbo (he counts!) or an elite guard foot soldier! Or make eastman and laird proud and go as a turtle from the comics.... shades of black and white only! That is an amazing post! Love the pics from all the years. You are one dedicated shell-head! I'm glad you re-posted this for 2014. I needed a good laugh. Lando = epic! That Collegeville TMNT Raphael costume came out in 1990.